The 2019 Porsche Macan’s facelift is really more of a buttlift, since the biggest tweak to the car seems to be a sleek singular taillight stretched across the rear cargo hatch. The “new” Macan was unveiled today in Shanghai, China and as you can see from this set of pictures, the changes are pretty minor. Porsche’s press release says that the crossover gets an 11-inch touchscreen, new headlights, wheels, and, yeah. The big red bar on the back is the only immediately obvious upgrade for 2019. 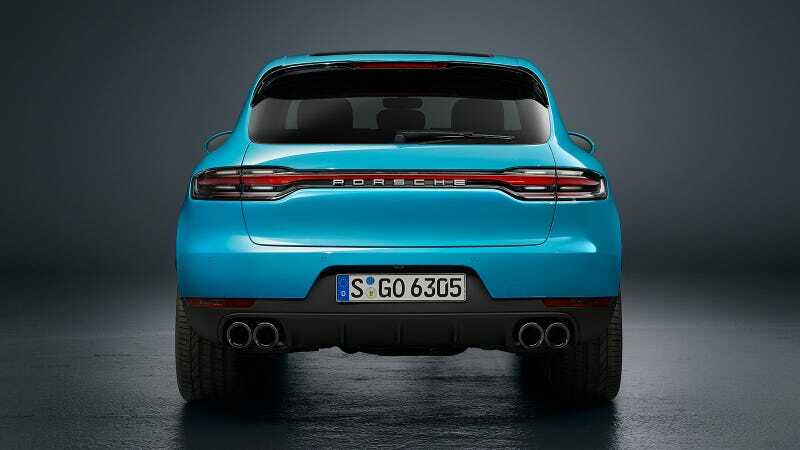 I have stared at the thing for a few minutes trying to formulate an opinion on it and I can’t get further than “it’s fine.” The new Cayenne and apparently the new 911 are moving to this back end look, a callback (kind of) to Porsche 911s of the 1980s and ’90s that had their taillights connected by a big red reflector. The Macan doesn’t need much of an overhaul anyway, as far as I’m concerned. I have very skeptically climbed into a Macan Turbo and Macan GTS over the last few years and exited both with a huge smile. Compact SUV, crossover, whatever you want to call it, the Macan actually is pretty damn fun to drive. Anyway, enjoy some more pictures of the new Macan in this gloriously juicy blue paint job. 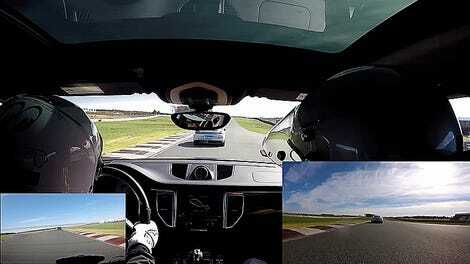 Hopefully these mild updates will give us another excuse to borrow one of these Porsches soon.